Trump has opened up Utah’s Grand Staircase to coal mining, why has no one taken him up on it yet? 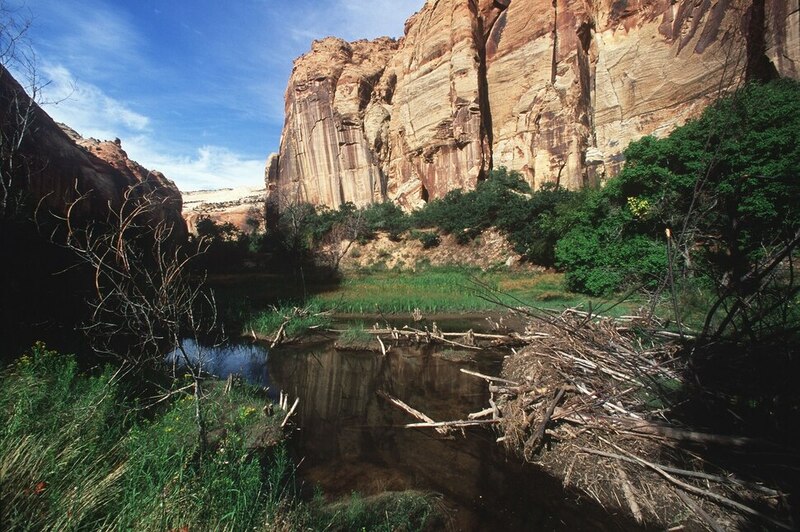 (Al Hartmann | Tribune file photo) Sandstone walls tower over a beaver dam in Calf Creek. The area is currently part of Grand Staircase-Escalante National Monument. (Al Hartmann | The Salt Lake Tribune) Hiker explores the Paria Toadstools, an easy one mile hike north of Highway 89 between Kanab and Page, AZ. It lies within the old boundaries of the Grandstaircase Escalante National Monument. President Donald Trump is surrounded by Utah representatives at the Utah Capitol on Monday, Dec. 4, 2017, as he signs two presidential proclamations to shrink Bears Ears and Grand Staircase-Escalante national monuments. (Francisco Kjolseth/The Salt Lake Tribune via AP) (Trent Nelson | The Salt Lake Tribune) Ashley Soltysiak, Director of the Utah Sierra Club, speaks out against Rep. Chris Stewart's Grand Staircase bill that would create an Escalante National Park during a rally on the steps of the State Capitol Building in Salt Lake City, Tuesday December 12, 2017. (Bonnie Jo Mount | The Washington Post) Paleontologist Randy Irmis makes his way to a newly discovered dinosaur site in Grand Staircase-Escalante National Monument in UtahOctober 2018. (Bonnie Jo Mount | The Washington Post) A fallen stake marks a claim on the Colt Mesa parcel, which, until 2018, was within the boundary of Grand Staircase-Escalante National Monument in Utah. Canadian company Glacier Lake Resources has claimed mining rights on the mesa. 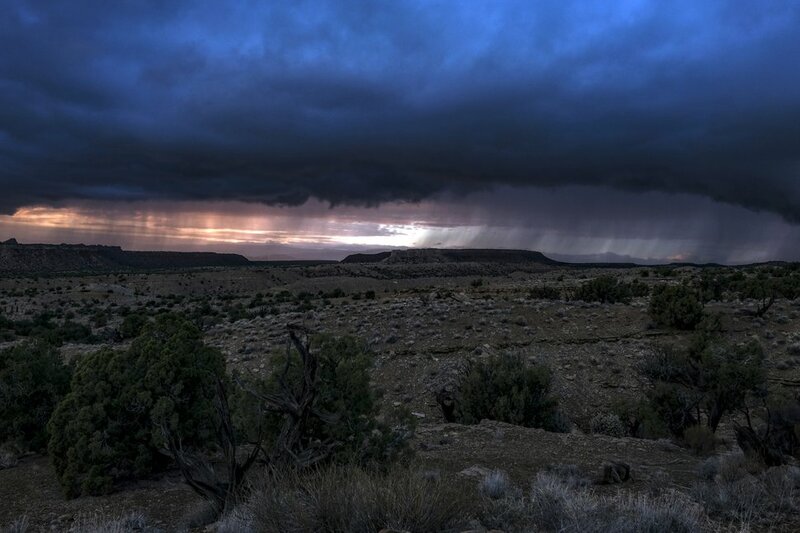 (Bonnie Jo Mount | The Washington Post) Cloud cover and rainfall in the Circle Cliffs region, an area removed from Grand Staircase - Escalante National Monument, in Garfield County, Utah on October 11, 2018. (Bonnie Jo Mount | The Washington Post) Anton Foltin of Tucson photographs the Toadstool Hoodoos on Oct. 12, 2018 in an area that was removed from Grand Staircase-Escalante National Monument in Utah. (Bonnie Jo Mount | The Washington Post) A portion of a rib of the duck-billed dinosaur hadrosaurid was found in Grand Staircase-Escalante in Utah in October 2018. Scientists continue to discover new species of dinosaurs there. (Bonnie Jo Mount | The Washington Post) Panorama of the landscape just south of Colt Mesa in the Circle Cliffs region, an area removed from Grand Staircase - Escalante National Monument, in Garfield County, Utah on October 11, 2018. (Bonnie Jo Mount | The Washington Post) One of several yurts at Escalante Yurts in Escalante, Utah on October 12, 2018. 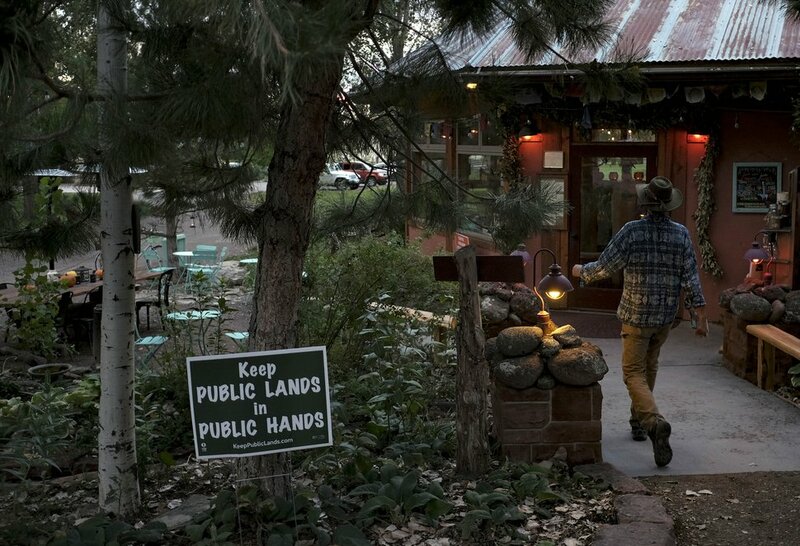 (Bonnie Jo Mount | The Washington Post) A sign supporting Grand Staircase - Escalante National Monument at entrance of Hell's Backbone Grill & Farm in Boulder, Utah on October 9, 2018. Escalante, Utah • On the eastern end of Grand Staircase-Escalante National Monument, narrow slot canyons shoot through the rocks in shades of terra-cotta red and pale peach. To the west stand surreal rock spires, the hoodoos for which the badlands are known. But what’s buried beneath undulating gray formations here is what caught Washington’s attention: coal. Decades ago, that gray swath signaled big profits for any company prepared to dig it up. But today, even the government officials charged with assessing the roughly 9 billion tons of coal deposits say they are unlikely to attract investors' interest. Most public-lands battles play out with a predictable script: An industry wants something, and environmentalists resist. But in the case of President Donald Trump’s decision to scale back protections in this patch of southern Utah, the battleground has shifted. In this fight, ideology has triumphed over economics. While administration officials trumpet a potential coal boom here, it’s unclear whether there will be many takers. Several of the tourist operators, conservation groups and researchers who invested in the area over the past two decades fear that even a modest amount of mining will undermine the landscape’s main attractions: unimpaired vistas and a snapshot of when dinosaurs roamed North America. "They don't know your land and, truly, they don't care for your land like you do," the president declared. In fact, the monuments' new boundaries were drawn by political appointees stationed in Washington. They were based on input from not just Utah officials, but also lobbyists in the energy industry and others. According to two individuals involved in the decision, both of whom asked for anonymity to discuss White House deliberations, Trump was focused on striking a blow to his Democratic predecessors. "He saw it as reversing Obama," said one former official. Since the Bureau of Land Management still owns the property in both monuments, Interior Department officials must sort out the messy details of what protections to provide on either side of their boundary lines. Activities that were nixed when Clinton designated Grand Staircase-Escalante are possible again. BLM officials are sifting through hundreds of thousands of comments on their proposal for the management of nearly 2 million acres of land that will roughly be divided between the monument and a new Kanab-Escalante Planning Area (KEPA).The Trump administration has sketched out an approach that would open up more than half a million acres to energy extraction, expand grazing and permit casual fossil collection in the area outside the monument. Permitted activities in Bears Ears also will be revamped. The administration has made it clear that it envisions energy exploration as part of the region's future. Its preferred option would open up 551,582 acres to mineral leasing with "moderate constraints" and another 108,230 acres to leasing subject to "major constraints." But the question remains: Even if leasing restarts here, will anyone actually start digging? (Bonnie Jo Mount | The Washington Post) Cloud cover and rainfall in the Circle Cliffs region, an area removed from Grand Staircase - Escalante National Monument, in Garfield County, Utah on October 11, 2018. The abandoned, weathered cart is perched on a slope leading to an ore chute that’s been idle since the 1970s — a sign of how long it’s been since mining companies operated here. Two decades ago, taxpayers bought this parcel of arid, rocky terrain along with about 375,000 acres from the state of Utah, part of a grand bargain aimed at putting to rest any debate about this landscape's future. Utah got 145,000 acres of federal land and $50 million in cash as part of the swap. The state has generated $360 million from energy and commercial development on the land it received. The deal assured that the nearly 1.9 million acres that comprised Grand Staircase-Escalante would be protected in perpetuity. But now this site is one of at least 18 active claims — with names like Mesa and Vulcan and Berry Patch — staked on ground that was removed from the monument. Taking advantage of a 146-year-old law, prospectors can pay a $212 filing fee and $155 annual maintenance fee for the right to extract cobalt, copper and other minerals buried underground without paying federal royalties. The Utah Geological Survey recently conducted an assessment of the metallic minerals — along with the tar sands, coal, oil and gas — for BLM as part of the planning process. Asked about prospects for mining these materials, the survey's energy and minerals program manager was skeptical. "It's fair to say that all of them are small, low grade, and the economics of any development would be significantly challenging," said Michael Vanden Berg. Even the one company that has signaled its intent to mine here does not appear well-poised to start. Glacier Lake Resources announced its acquisition of the roughly 200-acre Colt Mesa parcel in June. But its March 2018 shareholders report said it "has accumulated a deficit of $4,779,688 and has not generated any revenue since inception, and expects to incur further losses in the development of its business." That same report warned there is "the risk that the Company will not be able to meet its financial obligations as they fall due," given that it has $500,605 in cash and liabilities of $322,884. Glacier Lake Resources did not respond to multiple requests for comment. BLM spokeswoman Kimberly Finch said the agency has not received any notice that Glacier Lake Resources had acquired the claim from the prospectors who staked it, or a proposed plan to begin digging there. "At this time, the BLM has not received any exploration notices or plans of operation for" lands that had been taken out of the monument, she said. At first glance, the "high-quality coal" that Vanden Berg and his colleagues evaluated under the Kaiparowits Plateau appears much more promising. "It's pretty much everything you would want in a minable coal seam," he said. But Vanden Berg cautioned that barring a major spike in overseas demand, he didn't envision any company coming to dig it out. That's because coal production in Utah has dropped more than 41 percent in the past decade, as coal-fired power plants have shut down across the country. Any company coming in, he said, would have to truck the coal out because there's "zero infrastructure" in place to ship it out. "I think it's fair to say there would be significant hurdles," he said. Nada Culver, senior counsel at The Wilderness Society, said that exploration remains a threat because once the land is leased, market conditions and federal subsidies can change. "There's a history of speculation, because it's cheap to lease it and you can put it on your books and it looks good," Culver said. "It is just not a risk we should be willing to take." Even if no one starts excavating right away, she warned, the specter of development would never fade. In Escalante, not far from the Kaiparowits Plateau, the owners of the bed-and-breakfast Escalante Yurts see an energy revival as the best way to sustain their community, even though they depend on tourism. Jan Roundy opened the business in 2016 with her husband, Scott, whose ranching family arrived in the 1880s. She divides the monument land into scenic and ugly areas. "The places people come to see are not the places they'll drill for oil," she said, adding that most of their customers are more interested in the nearby national parks. "I hope they do something with the ugly land and bring more people here, more jobs, so that it's not such a sad little dried-up town, because tourism isn't enough." But Trump’s move to cut Grand Staircase-Escalante nearly in half took out more than coal, gas and oil deposits. It removed land with towering hoodoos, ancient petroglyphs, rich fossils and habitat that helps sustain the nearly 660 species of bees and other wildlife that inhabit the monument. 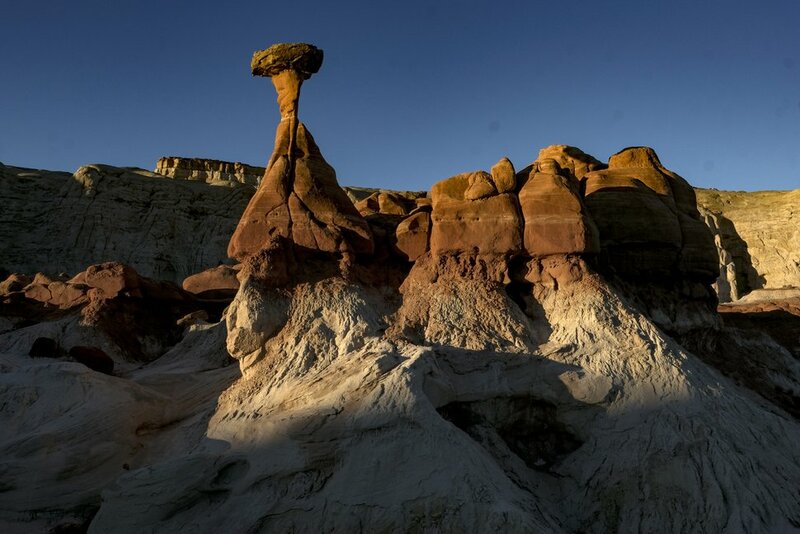 (Bonnie Jo Mount | The Washington Post) The Toadstool Hoodoos in Kanab, Utah, stand in an area that was removed from Grand Staircase-Escalante in Utah in October 2018. In the mid-1990s, Andalex Resources had finalized plans for its Smoky Hollow mine on the Kaiparowits Plateau. It planned to extract 248 million tons of coal over the course of 35 years. PacifiCorp also held leases, as did a smattering of oil and gas firms. But the companies didn't know that Clinton and his top aides had launched a secretive process in July 1996 to scuttle all of those plans. After the president issued an unsuccessful veto threat aimed at halting energy exploration in the area, his staffer Katie McGinty turned to the 1906 Antiquities Act — a law that gave the president broad, unilateral authority to protect federal lands facing imminent danger. She tasked Interior's solicitor, John Leshy, with drawing up the maps and convening experts from different agencies to work out details of the proclamation: At one point, someone brought in a copy of Car and Driver magazine that featured a cover story on the most remote area in the Lower 48, which was the farthest from a paved road in every direction. 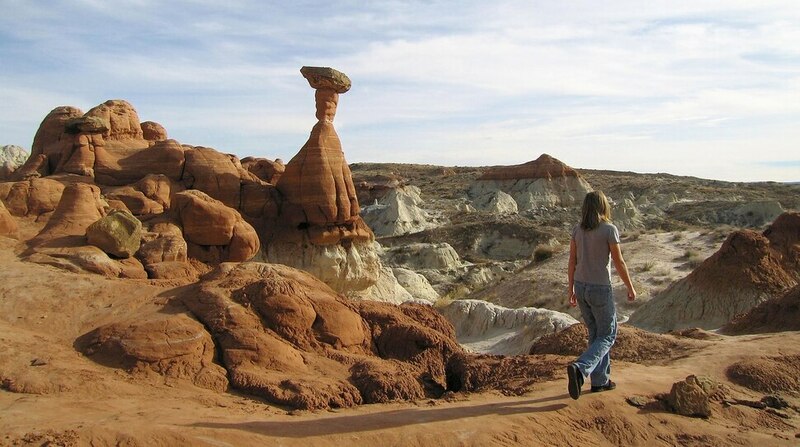 It lay in the heart of what became Grand Staircase-Escalante. When Clinton created the monument, Leshy said, "we saw that not as starting a battle but sort of ending one." Clinton's Sept. 18, 1996, designation of the monument — made from the south rim of the Grand Canyon, miles away from the actual site — infuriated many locals, who saw it as undermining their livelihoods. Gladys LeFevre, a Boulder Town Council member, said it was an act of vanity. "I'm not a fan of Bill Clinton," she said. Utah's Republican governor at the time, Mike Leavitt, opted to work out a deal with the White House. Brad Barber, then Utah's state planning coordinator, worked with his colleagues for two years to identify state holdings within the monument and other federal and tribal lands that could be exchanged for federal holdings elsewhere, along with changes to the monument plan. "The way I saw it, we were accepting this and then these lands in the monument were going to be preserved, and we would develop elsewhere," Barber said. The 1998 bill, along with another small modification Congress made to the monument in 2009, may give litigants the ammunition they need to overturn Trump's proclamation. Unlike other monuments, which were exclusively designated by presidents, Grand Staircase-Escalante was approved by Congress. Trump, for his part, did not delve into legal details when then-Sen. Orrin Hatch, R-Utah, Rep. Rob Bishop, R-Utah, and then-Interior Secretary Ryan Zinke lobbied for him to scale back monuments designated by Clinton and Obama. Some Utah residents — especially local ranchers — welcome the changes. Interior's draft plan would make about 66,000 more acres available for grazing. The plan would open areas around the Escalante River, where conservationists had bought out ranching permits 20 years ago. "You're going to see better roads, we're going to see better management, and we're going to see better range," said Leland Pollock, a ranch owner who chairs the Garfield County Commission. But Nicole Croft, executive director of Grand Staircase Escalante Partners, said letting cattle feed near the river could erode river banks where recreationists congregate and migratory birds feed. "This action is incredibly unnecessary and certain to be fraught with conflict for everyone," she said. Croft's group, which raised and spent $10 million for restoration along the Escalante River, is part of the community's pivot to tourism. While its neighboring National Park Service sites — Bryce Canyon, Capitol Reef and Glen Canyon — attract more tourists, Grand Staircase-Escalante's wild nature has a dedicated following. Visits rose nearly 63 percent over the past decade, to almost 1.2 million visitors in fiscal 2018. The controversy surrounding Trump’s proclamation may have lured tourists, since visitation jumped 18 percent in the last fiscal year. With those outdoor enthusiasts come dollars, and that money has helped spur an array of local businesses. In 2000, Blake Spalding and Jennifer Castle reopened in Boulder the shuttered restaurant Hell's Backbone Grill, and it now ranks as one of Garfield County's largest employers. "You know, there's a false narrative that our county needs jobs," Spalding said, on a night when her dining room was packed, as she ticked off the area's lack of electricians, plumbers, painters and drywall layers. "What we need is people who can fill jobs." There is little question that the two counties encompassing the monument have grown economically since its inception. The leisure and hospitality sector accounts for 34 percent of Kane County's economy and 47 percent of Garfield's, according to the Utah Department of Workforce Services. Several ranching families have invested in tourism. Brent Cottam, whose father used to run 500 head of cattle here, owns a new 28-room lodge in Escalante, along with a gas station. Council member LeFevre and her husband, Del, are opening up a bed-and-breakfast. "You can't hold on to old traditions and old things when the world is changing around you," she said. But even some tourist operators question whether these businesses pay high enough wages to support entire households. "That doesn't sustain the economy," Cottam said. Mining and ranching jobs pay roughly twice as much as those in tourism, according to a study published in August in the journal Land Economics by Utah State University economics professors Paul Jakus and Sherzod Akhundjanov. But since those traditional industries have declined due to broader market forces, they concluded the monument was "neither boon nor bane." Jakus noted in an interview that even BLM's analysis shows that if it pursued the maximum amount of mining development envisioned in its new proposal, only an additional $1.6 million would be injected into the local economy each year. "That's about one half of 1 percent of total personal income in the region," he said. "It's basically nothing." Cottam and Kelly Stowell, Kane County's film commissioner and economic development director, said they're skeptical that mining will experience a resurgence here. Stowell said he is hoping to lure high-tech and other businesses to diversify its economy. "I think a big part of that is technology and people being able to work from anywhere," Stowell said, adding that the county's outdoor recreation opportunities could be a lure. "Tourism is very important to the economy, and it probably always will be. But we don't want to put all our eggs in one basket at the same time." But Spalding, who, along with her business partner, is challenging Trump's proclamation in federal court, said some of the monument's fiercest critics don't realize "they've decided to kill the golden goose." (Bonnie Jo Mount | The Washington Post) A sign supporting Grand Staircase - Escalante National Monument at entrance of Hell's Backbone Grill & Farm in Boulder, Utah on October 9, 2018. More than anything, what makes Grand Staircase-Escalante exceptional is that it provides a nearly complete snapshot of the Late Cretaceous Period — from roughly 95 million to 74 million years ago — right before volcanic eruptions and an asteroid impact triggered climate change and a massive extinction event. At that time, it was more like the Louisiana bayou than the arid territory that it is today, with coniferous trees and flowing rivers that deposited sediment and trapped organisms quickly during floods. In the early 1980s, paleontologist Jeff Eaton began searching here for evidence of small mammals — tiny teeth, along with pieces of frogs and lizards — to date the rocks. He unearthed an entire ecosystem. "There's very few places in the world where you can watch the evolution of the biosphere through tens of millions of years, as it's recorded in the rock layers," said Alan Titus, a paleontologist who works within the monument. The next generation of scientists are now digging, wrapping their finds in burlap and plaster so that they can haul them out and chip away at the rock with everything from a gas-powered concrete saw to a tiny jackhammer running on compressed air. One morning in early October, Randall Irmis, the Natural History Museum of Utah's curator of paleontology, and its preparation lab manager, Tylor Birthisel, delicately tried to unearth the rib of a duck-billed dinosaur. Wielding a spade and paintbrush, Birthisel tried to coax it out by sheer will. "Okay, bones, you should be popping out any minute now." It is tedious work that's paid off. A dozen dinosaur species have been named since the monument's inception, and another dozen have been identified and are in the process of being written up. "We're still at the steep end of the learning curve," Irmis said. "It's not just the quality of the fossils and the abundance; it's the fact that when we find enough material to identify it, it turns out to be something we've never seen before . . . If you uncover a bone, you're the first person to see that bone." Under Trump's proclamation, however, two of the ancient rock layers that once lay within the monument's boundaries — the Tropic Shale and Straight Cliffs Formation — are almost entirely cut out. The draft management plan will allow for "casual" fossil collection in areas that are outside the reconfigured boundaries, and for a small amount inside the monument. Titus said that the BLM has identified two places that were areas of historic fossil collecting before the 1990s. Titus said this activity will not deplete fossils that matter for scientific research. Eaton disagrees. "In terms of fossil collection, they'll take anything they can get," said the retired professor, who lives a few miles from the monument in Tropic. Harry Barber, the acting monument manager, said BLM officials will subject any activities in the areas outside its boundaries to proper scrutiny. "If there's a project proposed in those areas, in those units, it's going to be analyzed appropriately," Barber said. But many conservationists and scientists worry the habitat fragmentation that accompanies any mining or drilling project, coupled with impacts to air quality, could harm the monument as well as nearby national park areas. Under its previous designation, Grand Staircase-Escalante was contiguous with Bryce Canyon National Park on its west side, Capitol Reef National Park along its northeastern border and Glen Canyon National Recreation Area at its southeastern edge. "Opening these lands to development threatens the very values the monument was set aside to protect," said Joro Walker, general counsel for Western Resource Advocates. "The new proclamation authorizes roads, noise, traffic and pollution at the heart of this remote area, jeopardizing one of the most important havens for rare plant and wildlife species in the West." The people who live here are waiting to see whether the changes Trump signed a year ago will be largely symbolic or whether they will irrevocably alter the landscape. One night this fall, one of the guests at Spalding's restaurant told her they wanted to see Grand Staircase-Escalante "before it disappears." "What do you say to that?" she remarked, moments later. "I said, 'Thank you.'" The Washington Post’s Magda Jean-Louis and Josh Dawsey contributed to this report.